. . . the 'selection' process of standardisation is not the selection of a single dialect, but the selection of single linguistic features from a range of dialects --- features which are then recombined into a new dialect which lacks a common ancestor. Standardisation thus becomes, not a unitary process operating on a single dialect at a single time, but a group of processes operating on all dialects over a much longer time. Selection becomes selections, and this accords much more closely with the observed nature of Standard English (the mixing of northern and southern forms, for example). Standardisation is not simply a set of decisions made by one identifiable group of late medieval bureaucrats: it is a complex of processes, growing out of the decisions made by a much wider range of writers in English (including, for example, the hundreds, perhaps thousands, of people involved in keeping and exchanging business records).
. . . the particularly large share of French in the basic vocabulary of Modern Standard English cannot be attributed to its cultural appeal alone but results from forced linguistic contact exerted by the speakers of the language of a conquering power on that of the conquered population. Ordinary borrowing, guided by the wish to acquire new things and concepts and, together with them, the appropriate foreign terms, could not have led to such an extreme effect on the basic vocabulary of the recipient language. ・ Kastovsky, Dieter. "Morphological Restructuring: The Case of Old English and Middle English Verbs." Historical Linguistics 1995: Selected Papers from the 12th International Conference on Historical Linguistics, Manchester, August 1995. Vol. 2. Germanic Linguistics. Ed. Richard M. Hogg and Linda van Bergen. Amsterdam and Philadelphia: John Benjamins, 2000. 131--47. It is just this sort of slow drifting about of expectation distributions, shared by people who are in constant communication, that we mean to subsume the term 'sound change'. . . The drift might well not be in any determinate direction: the maxima might wander a bit further apart, then come closer again, and so on. Nevertheless, the drift thus shown would constitute sound change. ・ Hockett, C. F. A Course in Modern Linguistics. New York: Macmillan, 1958. Note . . . that a number of linguists might disagree with the judgment that sociolinguistic causes are 'superficial' and other types 'deep'. It might be more accurate, perhaps, to replace the terms 'superficial' and 'deep' with the words 'immediate' and 'long-term', which do not imply that one type is more important than the other. It is clear that no long-term cause can take effect without an immediate trigger. It is equally clear that sociolinguistic factors do not set off changes randomly. The language must be ready to move in that particular direction. languages . . . are objects whose primary mode of existence is in time . . . which ought to be viewed as potentially having extended (trans-individual, transgenerational) 'lives of their own'. (Lass, Roger. "Language, Speakers, History and Drift." Explanation and Linguistic Change. Eds. W. F. Koopman, Frederike van der Leek, Olga Fischer, and Roger Eaton. Amsterdam and Philadelphia: John Benjamins, 1987. 151--76. Pages 156--57.). ・ Politically responsive prescriptivism: rules/judgments that aim to promote inclusive, nondiscriminatory, and/or politically correct usage. ・ Morsbach, Lorenz. Über den Ursprung der neuenglischen Schriftsprache. Heilbronn: Henninger, 1888. ・ Doelle, Ernst. Zur Sprache Londons vor Chaucer. Niemeyer: 1913. ・ Heuser, Wilhelm. AltLondon mit besonderer Berücksichtingung des Dialekts. Osnabrück: 1914. ・ Reaney, Percy H. "On Certain Phonological Features of the Dialect of London in the Twelfth Century". Englische Studien 59 (1925): 321--45. ・ Reaney, Percy H. "The Dialect of London in the Thirteenth Century". Englische Studien 61 (1926): 9--23. ・ Mackenzie, Barbara Alida. The Early London Dialect. Oxford: Clarendon, 1928. ・ Ekwall, Bror Eilert. 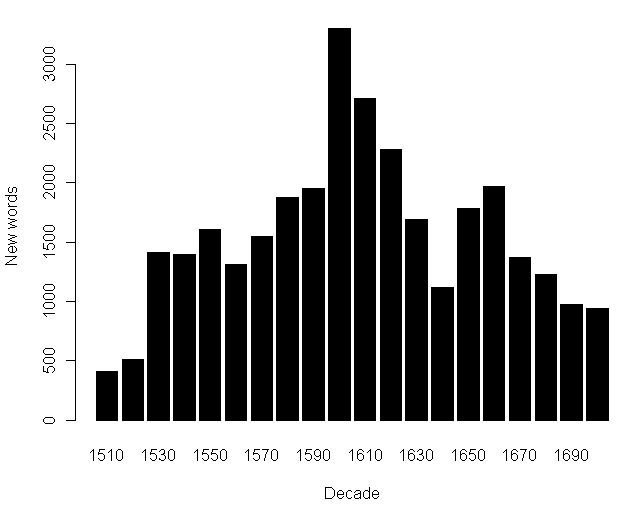 Studies on the Population of Medieval London. Stockholm: Almqvist and Wiksell, 1956. ・ Samuels, Michael Louis. "Some Applications of Middle English Dialectology." English Studies 44 (1963): 81--94. Revised in Middle English Dialectology: Essays on Some Principles and Problems. Ed. Margaret Laing. Aberdeen: Aberdeen UP, 1989. ・ Fisher, John Hurt. "Chancery and the Emergence of Standard Written English in the Fifteenth Century." Speculum 52 (1977): 870--99. ・ Wright, Laura. 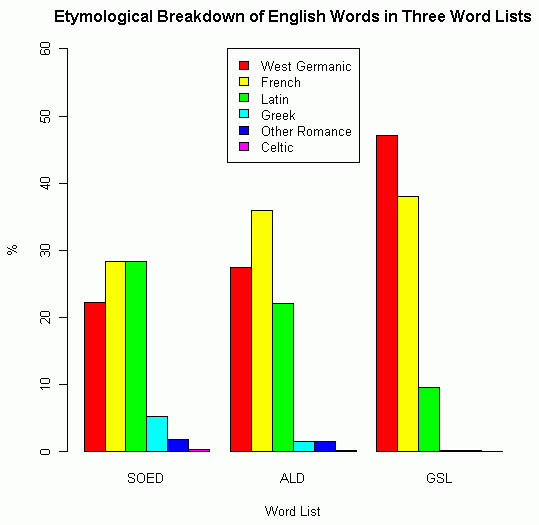 The Development of Standard English, 1300--1800. Introduction. Ed. Laura Wright. Cambridge: CUP, 2000. Influence of French on inflections and, by and large, on syntactical structures cannot be proved, but appears unlikely from what we know about bilingualism in Middle English times. Middle English is a typical case of a language of low prestige, predominantly used in spoken form and split into a great number of dialects that had to assimilate the cultural (and in this case) mainly lexical impact of the 'high' language.